Trevor Moore (and Comedy Central) to Deliver 24 Hours of Trevor Moore in Facebook Live "Trevathon"
Comedian Trevor Moore is returning to Comedy Central for his second stand-up special, Trevor Moore: The Story of Our Times, on April 20, and the network will prepare all comers for the special with 24 straight hours of Trevor Moore. For the first time, Comedy Central is surrendering their offices and Comedy Central Stand-Up Facebook page to Trevor Moore for a 24-hour “Trevathon” on April 19. The broadcast will lead into the debut of Moore’s second special with the network, featuring Moore tackling and (hopefully) settling every issue, feud and problem the world faces while fighting to stay awake. We’re not quite sure if all of those promises will be delivered on, though. Solving the world’s problems is one thing, but staying awake for 24 straight hours on Facebook is a task beyond even history’s top diplomats. 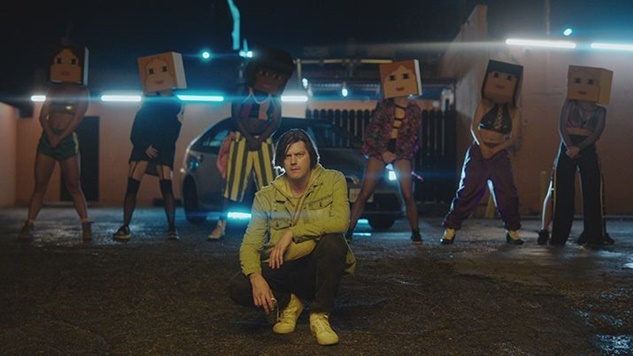 We’ll all be able to see if Moore is up for the challenge when the “Trevathon” begins April 19 at midnight, followed by the premiere of Trevor Moore: The Story of Our Lives April 20 at midnight.